This is a 10-week program that is open to all women (ages 16 and up) from walkers, new runners to experienced runners! Whatever your level is, there will be a group to keep you motivated and to keep you in “forward motion”. We post news, events, and in-store specials regularly. Give us a ‘Like’ and stay in touch! Don’t shop online for running shoes. Let us fit you with the right shoes for your feet and stride. Come get expert advice at Ready Set Run! 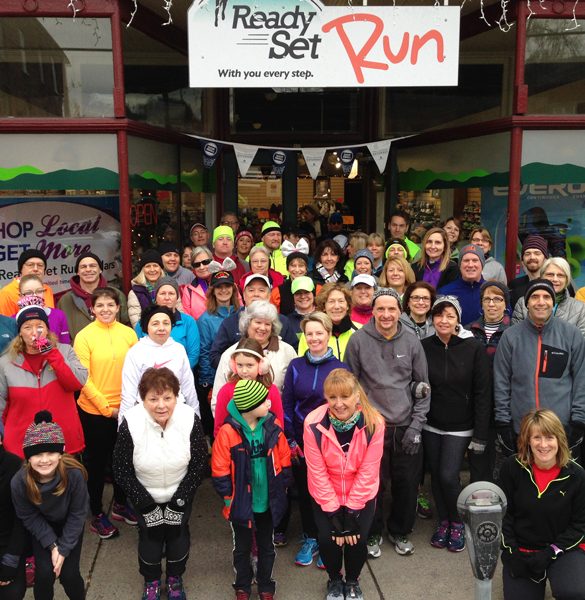 Ready Set Run is a unique running store located in Stroudsburg, Pennsylvania. We’re conveniently located on Main Street, near many local attractions and easily accessible from I-80 and New Jersey. We’re unique because not only is Ready Set Run a great place to find running shoes, running apparel and accessories, and other active lifestyle gear, we’re a local running resource for the Pocono Mountains and beyond. We offer training sessions, fun activities like our Mystery Run and Poker Run, and also running challenges like Flurries ‘N Fun, designed to keep runners active during the quiet winter months. Our goal is to help you become a successful runner or walker.